A gym is an abnormally damp environment where sweat creates moist conditions ideal for germs, bacteria, mould, mildew and viruses. And while you can’t stop the sweating (which after all is the reason for a gym), you can make sure your premises are spotlessly clean at all times so that bugs and nasties don’t get the upper hand. Staphylococcus aureus (golden staph) – a common bacterium that lives on the skin and is capable of causing a range of mild to severe infections. Staphylococcus saprophyticus – a bacteria that is a leading cause of urinary tract infections. Salmonella – a gastrointestinal illness with symptoms including fever, diarrhoea and vomiting. Influenza – an airborne virus that, when inhaled, spreads to the respiratory tract where it multiplies. Rhinoviruses – viruses that cause many types of common colds and upper respiratory infections. Dermatophytosis – a fungal infection of the skin also known as ringworm, tinea, jock itch (when around the groin) or athlete’s foot (when on the feet). 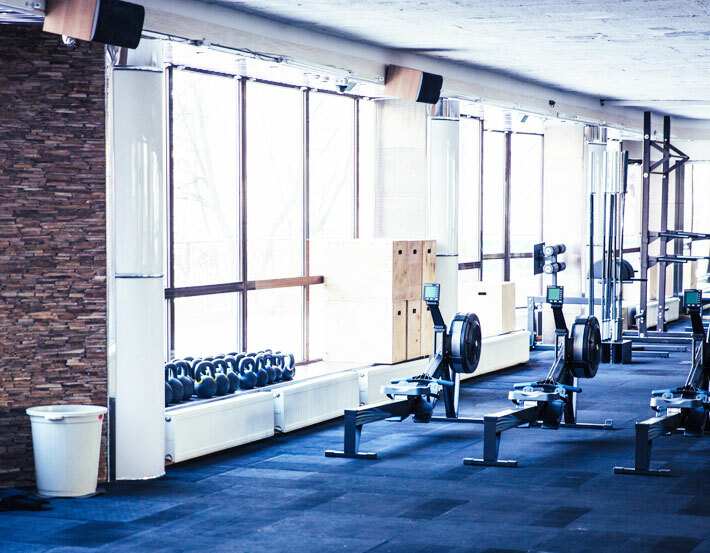 There have been a number of studies conducted into gym hygiene in recent years and their findings reinforce the need for constant vigilance by gym owners. The free weights had 362 times more germs than the average toilet seat. The treadmills had 74 times more bacteria than a tap in a public bathroom. The exercise bikes had 39 times more bacteria than a tray from a food court. 56% of gym members surveyed expected their gym to be free of germs. Gyms that spent approx 4% of their budget on housekeeping made more profit and had higher customer retention rates than those who spent only 3%. If a gym was perceived to be unclean, customer satisfaction ratings fell from 83% to 43% and retention rates fell from 90% to 52%. While there are currently no enforceable industry standards regarding gym cleanliness in Australia, gyms do have a duty of care to provide a safe environment for their clients and staff, and most fitness industry associations have guidelines that their members are required to follow. Scope out any new gym before you join – make sure it is a registered fitness facility that belongs to an industry association and look closely at their hygiene standards before you sign up. Cover any cuts – if you have any cuts or broken skin, cover them with a bandage before you go to the gym. Take your own towel – this will help reduce your sweating and provide a barrier between your body and the equipment. You should always wash your towel between visits. Wipe the equipment down – use the wipes and surface cleaner provided by most gyms to wipe down the equipment before you use it and afterwards as a courtesy to the next user. Wear thongs when showering – this will help to protect you from infections such as athlete’s foot which are often contracted in shared shower areas. Shave at home – don’t shave at the gym or immediately before going there, as this exposes your face to the risk of infection. Clean your mat – if you use a yoga or fitness mat, make sure you clean it regularly. A quick wipe down is fine between uses, with a more thorough clean recommended at least once a week. Wash your hands – wash your hands thoroughly after you’ve been to the gym, particularly before eating or preparing food. Separate dirty clothes – keep your dirty gym clothes and sneakers in separate gym bag compartments or in a plastic bag. Stay away when you’re sick – don’t go to the gym if you’ve got a cold, flu, gastro or any other contagious illness to avoid spreading it to other gym patrons. There are a lot of gyms out there seeking to claim the same clientele, so gym owners need to promote their facilities in the most positive way they can, and ideally set themselves apart from the competition. One way to do this is to promote the high standards of cleanliness your gym insists upon. As we have seen, good hygiene is directly linked to customer satisfaction and retention rates, so making your gym the cleanest and by definition the healthiest, is likely to pay dividends. And there are other good reasons for maintaining a clean gym environment as well. Keeping your gym equipment clean and well maintained will prolong its overall working life, whilst keeping surfaces clean and sweat-free might just prevent a slip or fall which could have public liability consequences for your business. If you’re building a new gym from the ground up or remodelling an existing building, try and incorporate elements in the design that will contribute to cleanliness and overall health. For example, you could include a high-filtration vacuum system to remove dirt and germs on floors and hard surfaces and a shower room with good drainage to deter bacteria and fungi. Good ventilation is also important for reducing moisture and damp. Create a cleaning schedule and adhere to it strictly. Hourly cleaning tasks could include checking for rubbish, spot cleaning equipment and making sure towels and coverings are being utilised. Daily tasks might include vacuuming, wiping down and disinfecting equipment and cleaning showers, toilets and changing rooms. Weekly tasks could include checking for wear and tear in seats and coverings, checking fixtures and fittings and mopping and scrubbing floors and deep cleaning carpets. Educate your staff (and particularly your cleaning staff) about the importance of ultra-cleanliness. Show them the correct way to clean and maintain gym equipment and make sure they know about and pay particular attention to hot spots where bacteria, viruses, and fungi can accumulate, such as door handles, mats and hand weights. Educate your customers as well. Make it known that your gym is a clean and healthy facility and post signs requesting that patrons make use of the hand sanitiser and use the wipes provided to wipe down equipment after use. Pay particular attention to showers and locker rooms in your daily cleaning schedule. This is where steam creates the damp environment that germs, mould and bacteria love. If possible, install a ventilation or dehumidifying system that will dissipate steam and keep the air relatively dry. 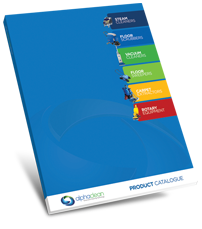 Have the right cleaning equipment. Use hospital-grade cleaners containing at least 10% bleach, but ensure they are not corrosive on metal or sprayed or wiped too close to sensitive electronic components in your gym equipment. If you have large hardwood courts and open floor spaces, consider purchasing heavy duty polishers and scrubbers to make you’re cleaning as cost-effective as possible. 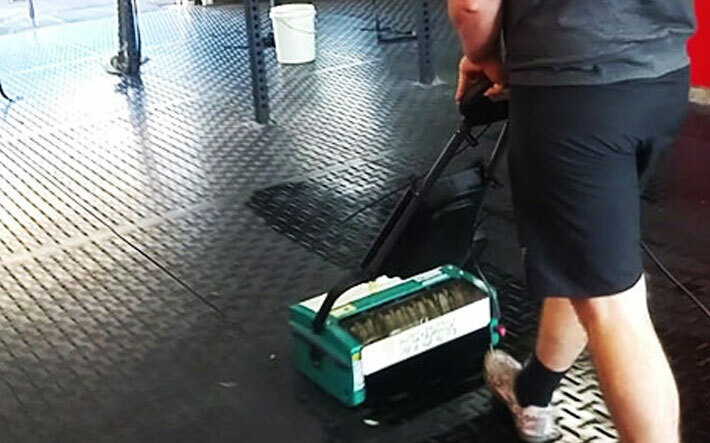 At Alphaclean, we know the importance of good hygiene in the fitness industry and our range of cleaning solutions will ensure you deliver a positive image and provide your customers with an enhanced fitness experience. We supply a wide range of cleaning equipment specifically designed for gyms and fitness facilities including personal training studios, CrossFit providers, yoga and Pilates studios, aquatic centres, boxing and weightlifting gyms, and martial arts studios. Chemicals – green environmentally friendly chemicals. We also service most brands of cleaning equipment, have a range of preventative maintenance options and provide training and consultation in the use of our machines. To find out more about how we can help your gym shine, contact Alphaclean today for a free quote.